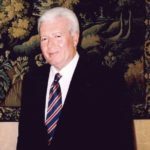 We put some questions to Mr. Sergio Marini, President for over thirty years of the Arab-Italian Chamber of Commerce and deep connoisseur of the realities, the dynamics and the opportunities offered by the Arab countries for the Italian economy and entrepreneurs. Can you tell us when the Arab-Italian Chamber of Commerce was established and which are its functions? Established in 1972, for over forty years the Chamber acts in order to promote the economic and cultural relationships with the 22 countries of the Arab League. The core of our activities are evidently companies, with a specific focus on small and medium sized companies, for which the Chamber has established a set of services and activities aiming at promoting their internationalization, both as regard the development of their export and the direct presence in the different Arab markets. This is indeed an area of big interest for Italian economy, which exports there around one fourth of the total of its export outside Europe, an area which despite the present crisis, still shows a constant level of growth and which due to the geographical proximity, offer an easier access to those of our companies who have a smaller dimension. The Chamber offers companies the most complete database on each Arab country (laws, regulations, development plans, sector budgets, imported products), a regular newsletter on tenders with over 150 new announcements every week, a magazine on economic news, it organizes trade missions, btob meetings, seminars and forums and it replies to the specific requests of its own member companies. 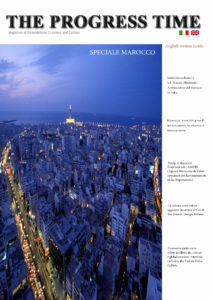 Which opportunities are presently available for Italian investments in the United Arab Emirates and which are the more interesting sectors? 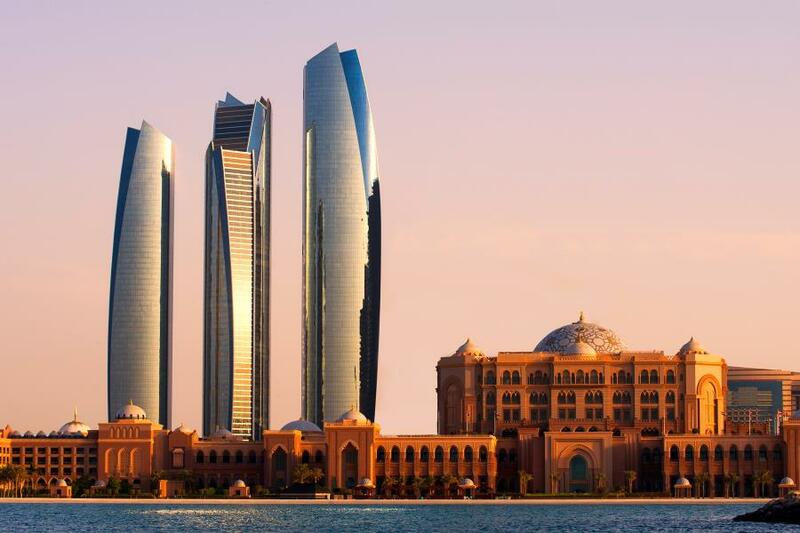 In addition to almost six billion Euros of imports from Italy, the UAE offers investment opportunities which are extremely broad and diversified. They are going through a phase of extraordinary development and they are showing a great dynamism. To the frequent request for innovative products one can add all the possibilities connected to the industrial, touristic an real estate development. The next expo, who will take place in Dubai in 2020, is an additional occasion not to be missed for Italian companies, it is evident the opportunity to step in the sector which represent the traditional strengths of our manufacturing industry. I would stress in particular the mechanical sector, and the agro-food industry, without forgetting the productions targeting the building and health sectors. Our investments are for the time being, of modest importance and they concern metallurgy, constructions, agro-food, clothing products and renewable energies sector. In the economic and industrial field how is Italy perceived in present by the UAE as regards the investment in long and short term? 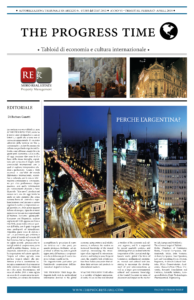 Over the last years our governments has been mainly turned out in an intense activity to attract capitals and investments from the Gulf countries, the huge participation in Alitalia, Piaggio and Centro Affari Milano Porta Nuova are a patterned result. 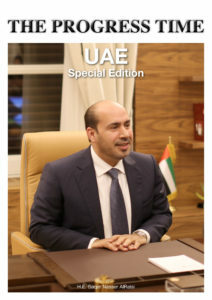 For a diffusion aiming at the several possible private investors it is necessary to ameliorate the conditions which represent and are perceived by foreign investors, from the UAE or from other countries, as an obstacle to their decision to directly invest: an uncertain legal framework, the complexity of the administrative regulations, the stagnation of economy. This not favorable and only partially changeable in the short time picture, can successfully be counterbalanced by a more dynamic and organized action of our business community, which also through its small companies has been capable to obtain extraordinary results on several levels. Can you describe more deeply your function in the organization and development of the business missions towards Arab countries? For the UAE we organize business missions of Italian entrepreneurs almost every month, selecting in advance the counterparts of the Emirates interested in their specific productions. These are mission which we carefully organize in advance, every time for a limited number of companies which usually find clients or partners and signs contracts. Which are the advantages for an Italian company in extending its market towards the Arab countries when he considers the association to the Arab-Italian Chamber of Commerce? It is a well known fact that companies capable to operate in the international market are those who show the best turnout. The inventory of the Italian companies exporting shows quite high figure but not totally convincing since it takes into account also singular operations concerning one single country. 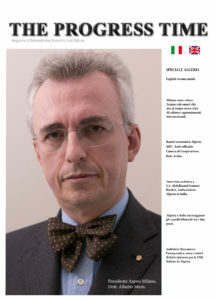 Our effort aims at broadening the number of exporting companies, helping them to tackle the market, based on an analysis of its dimensions, of the specialization of Italy towards that market and the specialization of the specific company, also on the nature of the competitors, of the feature of trades and trade rules of each country. To the guidelines steaming from this preliminary analysis, we can add the network of knowledge, relationships and specific informations owned by the Chamber. For a company interested in entering the Arab markets, already internationalized and present, or interested in exploring them, the support provided by the Chamber is particularly useful. It prevents her from making mistakes, it helps her in optimizing the promotional investment and in obtaining contracts more quickly. The service company of the Chamber can also carry out a an action which integrates or replace the action of the Chamber towards these small and medium sized companies, which still are not equipped with an export office, and assist all the companies for the project financing, for the access to the facilities for access to export and to foreign direct investments also thanks to the agreement that the Chamber has with SIMEST. In conclusion, what is Expo 2020 offering the Arab countries participating in it? Expo Milano has been correctly perceived by the UAE as a huge opportunity to develop relations and to promote their country, which will shortly host the next edition of the universal exhibition. It has been an opportunity not to be missed by Italian companies, who can cooperate not only in its setting up but also in the creation of supporting industries. Thanks for your recommendations on this blog. 1 thing I want to say is always that purchasing electronics items from the Internet is nothing new. In truth, in the past ten years alone, the marketplace for online electronic devices has grown noticeably. Today, you could find practically any kind of electronic system and devices on the Internet, including cameras and camcorders to computer components and video gaming consoles.